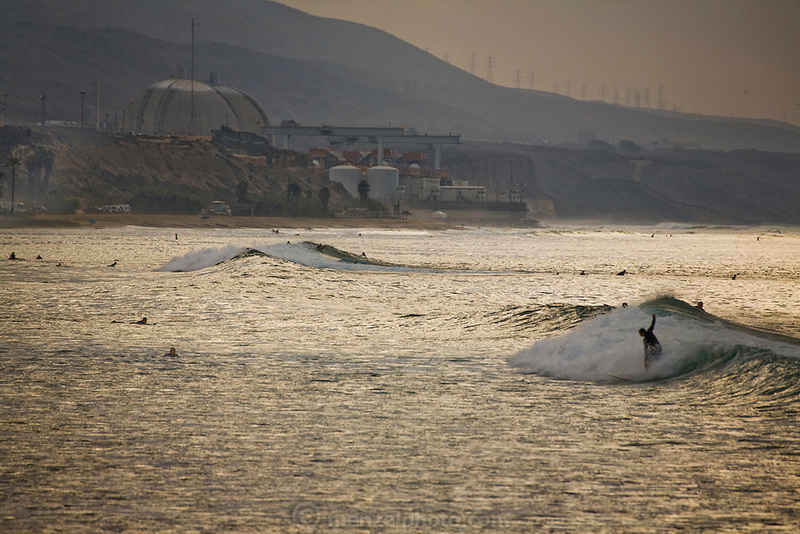 Surfer Ernie Johnson (on wave at right) surfs on the Pacific near the San Onofre Nuclear Generating Station, California. (Ernie Johnson is featured in the book What I Eat: Around the World in 80 Diets.) MODEL RELEASED.